Are you legally bound by the Constitution? Lysander Spooner sees no reason why you should be. 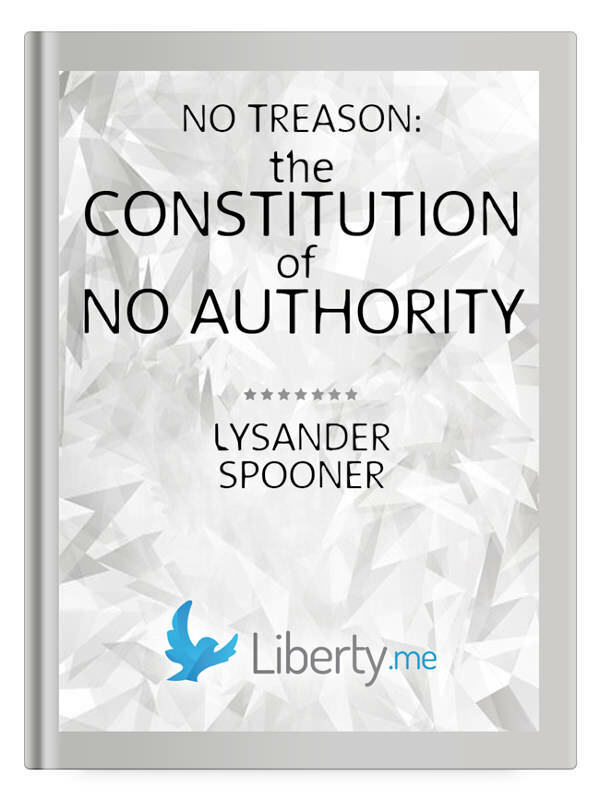 In No Treason: The Constitution of No Authority, Spooner subjects this cherished document to the highest levels of scrutiny. He pulls no punches. Relying on sound logic and basic burdens of proof, Spooner explains that the Constitution cannot bind a single person living in this nation. No one has ever signed the contract itself. Consent is always assumed. No Treason is a step toward a freer, more just society. It is revolutionary. Jeffrey Tucker interviews his old friend and mentor Sheldon Richman about his new book — America’s Counter-Revolution: The Constitution Revisited. From Jeffrey’s foreword: This much I can assure the reader: after reading this book, you will never think about the U.S. Constitution and America’s founding the same way again. Sheldon Richman’s revealing and remarkably well-argued narrative will permanently change your outlook. The Constitution, far from limiting government, was actually designed to bring about a new one that betrayed the ideals of the Declaration of Independence itself. The ratification of the Constitution was a counter-revolution.There is a reason it has done a poor job in protecting freedom: it was never intended to do so.